Martin Škoula (born October 28, 1979) is a Czech former professional ice hockey defenceman, who enjoyed a lengthy career in the National Hockey League (NHL) with the Colorado Avalanche, Mighty Ducks of Anaheim, Dallas Stars, Minnesota Wild, Pittsburgh Penguins and the New Jersey Devils. He won the Stanley Cup with the Colorado Avalanche in 2001. Škoula was selected in the first round of the 1998 NHL Entry Draft, 17th overall, by the Colorado Avalanche. After playing two seasons in the Czech Republic, Škoula came over to North America in 1997, playing for the Barrie Colts of the OHL. His size and offensive ability made him an instant success. After only one game in the American Hockey League, with the Hershey Bears, Škoula joined the Avalanche. The Barrie Colts are a junior ice hockey team in Ontario Hockey League, based in Barrie, Ontario, Canada. In 2001, Škoula was a part of the Avalanche team that won the Stanley Cup. 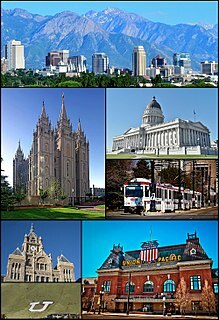 The following season, he played for his native country at the Salt Lake City Winter Olympics. On February 21, 2004, Škoula was dealt by the Avalanche to the Mighty Ducks of Anaheim for Kurt Sauer and a 4th round pick (Raymond Macias). After playing 20 games with the Ducks, Škoula left as an unrestricted free agent. He spent the 2004 NHL Lockout in the Czech Extraliga with HC Litvínov. Kurt Christopher Sauer is an American former professional ice hockey defenseman who played seven seasons in the National Hockey League (NHL). He played for the Mighty Ducks of Anaheim, Colorado Avalanche, and Phoenix Coyotes. Sauer was born in St. Cloud, Minnesota, but grew up in Sartell, Minnesota. HC Litvinov, called HC VERVA Litvínov for sponsorship reasons is an ice hockey team in the Czech Extraliga. Their home arena is Ivan Hlinka Stadion in Litvínov. Martin Škoula (left) with the Penguins in October 2009. Shawn James Robert Belle is a Canadian former professional ice hockey defenceman who played in the National Hockey League (NHL) with the Minnesota Wild, Montreal Canadiens, Edmonton Oilers and the Colorado Avalanche. Gianluca Caputi is a Canadian former professional ice hockey player and current associate coach with the Kingston Frontenacs of the Ontario Hockey League. On April 21, 2013, Skoula signed as a free agent to return to the KHL with HC Slovan Bratislava on a one-year contract. In the 2013–14 season, Skoula was one of only four Bratislava players to appear in every game with 54, helping contribute from the blueline with 13 points. He was unable to help elevate Slovan to the playoffs. August 3, 2005 - Škoula signs with Dallas Stars. March 9, 2006 - Škoula traded by Dallas along with Shawn Belle to the Minnesota Wild for Willie Mitchell and the Wild's second-round pick in the 2007 NHL Entry Draft. September 29, 2009 - Škoula signs a one-year deal with the Pittsburgh Penguins. March 3, 2010 - Škoula was traded from the Toronto Maple Leafs to the New Jersey Devils for a fifth round pick in the 2010 NHL Entry Draft. Branko Radivojevič is a Slovak former professional ice hockey forward who began and finished his career playing for HK Dukla Trenčín of the Slovak Extraliga (Slovak). He played in the National Hockey League (NHL) with the Phoenix Coyotes, Philadelphia Flyers and Minnesota Wild. His Serbian father Matija came to Czechoslovakia during the 1970s as a contractor of a Yugoslavian company. Petr Sýkora is a Czech retired professional ice hockey right winger who played in the National Hockey League (NHL) for the New Jersey Devils, Mighty Ducks of Anaheim, New York Rangers, Edmonton Oilers, Pittsburgh Penguins, and Minnesota Wild. He is a two-time Stanley Cup champion, having won with the Devils in 2000 and the Penguins in 2009. Sýkora has played in six Stanley Cup Finals in his NHL career. Marek Svatoš was a Slovak professional ice hockey winger. He last played during the 2013–14 season in the Slovak Extraliga with Košice, the same club with which he began his career in 1999. Svatoš played in the National Hockey League (NHL) for several seasons, mostly with the Colorado Avalanche; his last stint in the NHL was in the 2010–11 season, during which he played with the Nashville Predators and Ottawa Senators after beginning the season in the Kontinental Hockey League (KHL) with Avangard Omsk. Ross Lupaschuk is a Canadian ice hockey defenceman. Chris Stewart is a Canadian professional ice hockey forward who is playing for the Nottingham Panthers in the Elite Ice Hockey League (EIHL). Stewart previously played in the National Hockey League (NHL) for the Colorado Avalanche, St. Louis Blues, Buffalo Sabres, Minnesota Wild, Anaheim Ducks and Calgary Flames. He played junior hockey with the Kingston Frontenacs of the Ontario Hockey League (OHL). Stewart is the younger brother of Anthony Stewart. Václav Nedorost is a Czech professional ice hockey center currently playing with HC Plzeň of the Czech Extraliga (ELH). He has formerly played in the NHL with the Colorado Avalanche and the Florida Panthers. Pierre-Alexandre "P. A." Parenteau is a Canadian former professional ice hockey right winger. In the National Hockey League (NHL) he played for the Chicago Blackhawks, New York Rangers, New York Islanders, Colorado Avalanche, Montreal Canadiens, Toronto Maple Leafs, New Jersey Devils and Nashville Predators, and then finished his career with Avtomobilist Yekaterinburg of the Kontinental Hockey League (KHL). He was originally drafted by the Mighty Ducks of Anaheim in the ninth round, 264th overall, in the 2001 NHL Entry Draft, though he never made an appearance for the team. Parenteau led the Maple Leafs in team scoring during the 2015–16 season. Daniel Spencer Winnik is a Canadian professional ice hockey winger who is currently playing with Geneve-Servette HC in the National League (NL). The Golden Hockey Stick is an award given to the top Czech ice hockey player. It was originally awarded to the top player in the Czechoslovak First Ice Hockey League, beginning in the 1968–69 season. 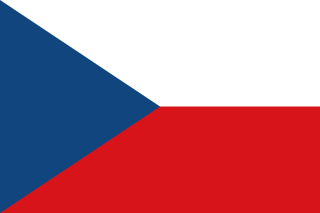 After the Czech Republic and Slovakia became separate countries in 1993, it was awarded to the top Czech player anywhere in the world. Vladimír Sobotka is a Czech professional ice hockey centre for the Buffalo Sabres of the National Hockey League (NHL). Sobotka has also previously played for the Boston Bruins and the St. Louis Blues, and in the Kontinental Hockey League (KHL) for Avangard Omsk. Sobotka was selected in the fourth round, 106th overall, in 2005 by the Boston Bruins from Slavia Prague of the Czech Extraliga. Denis Parshin is a Russian professional ice hockey left wing currently playing for Torpedo Nizhny Novgorod in the Kontinental Hockey League (KHL). 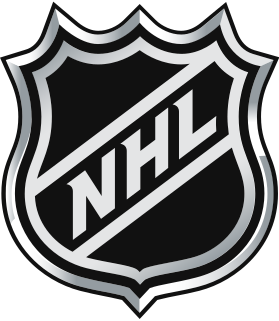 The 2011 NHL Entry Draft was the 49th NHL Entry Draft. It was held on June 24–25, 2011, at the Xcel Energy Center in St. Paul, Minnesota. It was the first time the Draft was held in the state of Minnesota since the Minnesota North Stars hosted the 1989 NHL Entry Draft. The top three picks consisted of Ryan Nugent-Hopkins going to the Edmonton Oilers, Gabriel Landeskog going to the Colorado Avalanche, and Jonathan Huberdeau going to the Florida Panthers. The 2012 NHL Entry Draft was the 50th NHL Entry Draft. The draft was held June 22–23, 2012, at Consol Energy Center in Pittsburgh, Pennsylvania. It was the first time that Pittsburgh hosted the draft since the 1997 NHL Entry Draft. The top three picks were Nail Yakupov going to the Edmonton Oilers, Ryan Murray going to the Columbus Blue Jackets, and Alex Galchenyuk going to the Montreal Canadiens. Chad Anthony Jerome Rau is an American professional ice hockey forward currently playing for HC Slovan Bratislava of the Kontinental Hockey League (KHL). He was selected by the Toronto Maple Leafs in the 7th round of the 2005 NHL Entry Draft. ↑ Dillman, Lisa (February 21, 2004). "Sauer joins Avalanche in trade for Skoula". latimes.com. Retrieved February 19, 2009. ↑ "Stars sign free agent defenseman Skoula". tsn.ca. August 3, 2005. Retrieved February 19, 2009. ↑ "Wild acquires Skoula, Belle for Mitchell". Minnesota Wild . March 9, 2006. Archived from the original on July 24, 2011. Retrieved February 19, 2009. ↑ "Penguins sign Skoula to one-year deal". Pittsburgh Penguins . September 29, 2009. Retrieved March 3, 2010. ↑ "Pens send Caputi, Skoula to Leafs". ESPN . March 2, 2010. Retrieved March 3, 2010. ↑ "Leafs flip Skoula to Devils". CBC News . March 3, 2010. Retrieved March 3, 2010. ↑ "After ten seasons Skoula farewells the NHL, heads to Omsk joining Jagr". Hockey.cz (in Czech). June 23, 2010. Archived from the original on July 7, 2010. Retrieved June 23, 2010. ↑ "Martin Skoula stays with Avangard". Hawk.ru (in Russian). May 3, 2011. Archived from the original on September 28, 2011. Retrieved May 3, 2011. ↑ "Christmas brings new Litomerice addition" (in Czech). HC Stadion Litoměřice. 2012-12-26. Retrieved 2012-12-26. ↑ "Skoula goes to Slovan" (in Slovak). HC Slovan Bratislava . 2013-04-21. Retrieved 2013-04-21. ↑ "White Tigers catch resounding reinforcement in Stanley Cup winner Skoula" (in Czech). isport.blesk.cz. 2014-05-27. Retrieved 2014-05-27. ↑ "Skoula enjoyed time in Liberec, then quits to spend more time with family". hokej.cz. 2015-11-09. Retrieved 2015-11-09.